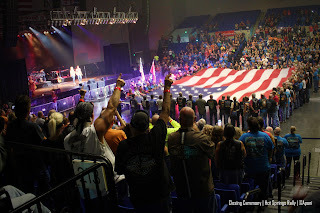 2018 will be our 13th annual open motorcycle rally held in the Hot Spring Arkansas Convention Center. Starting on Thursday night a free meal with armband and Karaoke prizes at Fat Jacks. Top entertainment on Friday and Saturday night!. This is the largest motorcycle rally held annually in central Arkansas. It offers something for every motorcycle enthusiast. 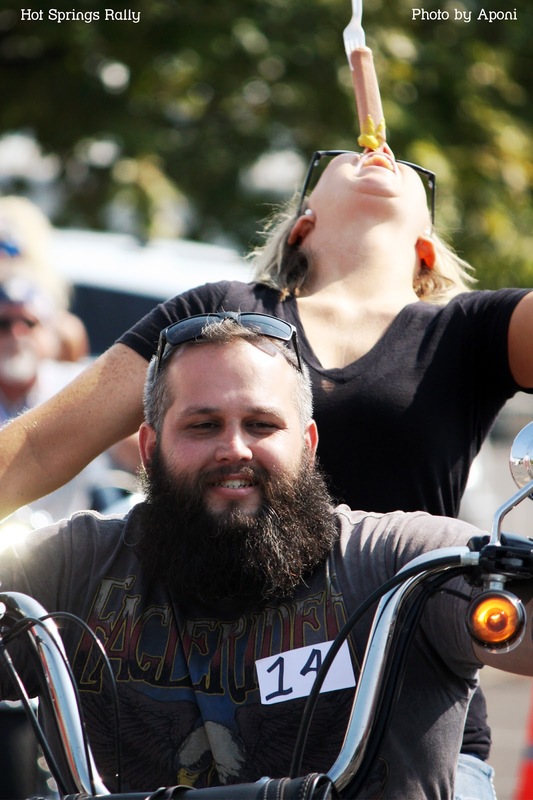 This 3 day rally includes plenty of vendors, two poker runs with a chance to win $2,000, indoor bike show, a concert both Friday and Saturday night at the Bank of the Ozarks Arena, field events and bike games, and a parade through historic downtown Hot Springs. Mark your Calendars now, take that vacation, invite your friends and remember to make hotel reservations early, they can become scarce. Saturday night before the concert make sure you arrive in time for the Closing Ceremonies. Each year, with the help of the Hot Springs Police Department and the Hot Springs Fire Department, we salute America’s Military. This has become an annual event and is guaranteed to bring a tear to your eye and a lump in your throat. Remember “Freedom isn’t Free”. Did you join us for the 2017 Hot Springs Rally? If you did, THANK YOU! The Thursday Pre-Rally Parking Lot Party began, once again, with a packed house at Fat Jacks. That evening ended with a rousing Karaoke Contest and then live music for as long as you wanted to stay. Friday and Saturday were filled with all the beautiful riding you could pack in, with the lakes and mountains as your stunning backdrop. Last rally, we could not have custom ordered better weather for the entire rally, pleasant and mild with gorgeous sunny skies! Back at the Convention Center there were bike games, a bike show, a parade, two headlining concerts, and a Convention Center packed full of vendors! Indian Motorcycle was back with their Demo Truck and Harley-Davidson joined us as well, allowing anyone who wanted to test drive one of their new motorcycles the chance to do so! Bradford Can-Am was also offering demo rides on the new Spyders. 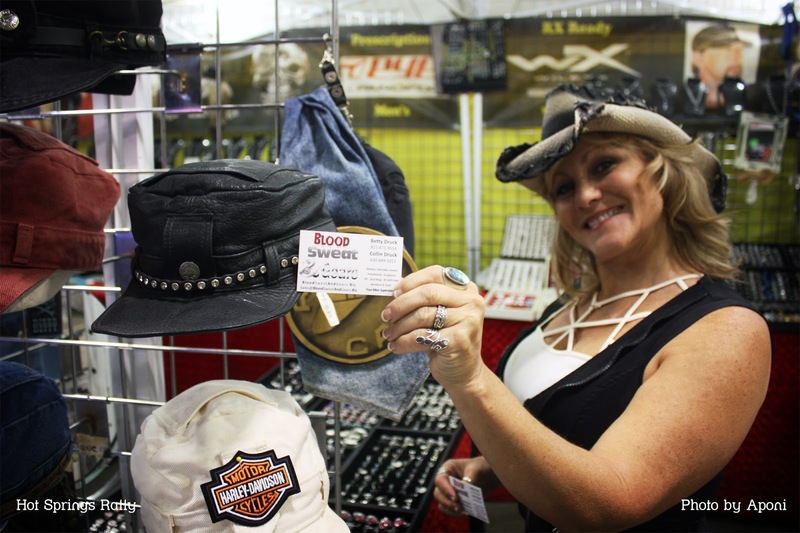 Landers Harley Davidson and Rob Gregory’s Indian Dealership were set up inside the Convention Center with full lines of both makes being sold. For the children, there was an air trampoline indoors, a ‘Poker Run’ for them to go through, limbo, biker selfies with dress-up outfits provided, and much more. The kids really participated and had a fantastic time. They loved the awards, medals and prizes they could earn too! We want to take this time to thank all who came for the first time, and all those of you who came back the 12th time with a group of your friends! We are working on this years entertainment. That will be announced as soon as it has been secured. Stay tuned for tickets to go on sale (announcements made on our Facebook page! ).